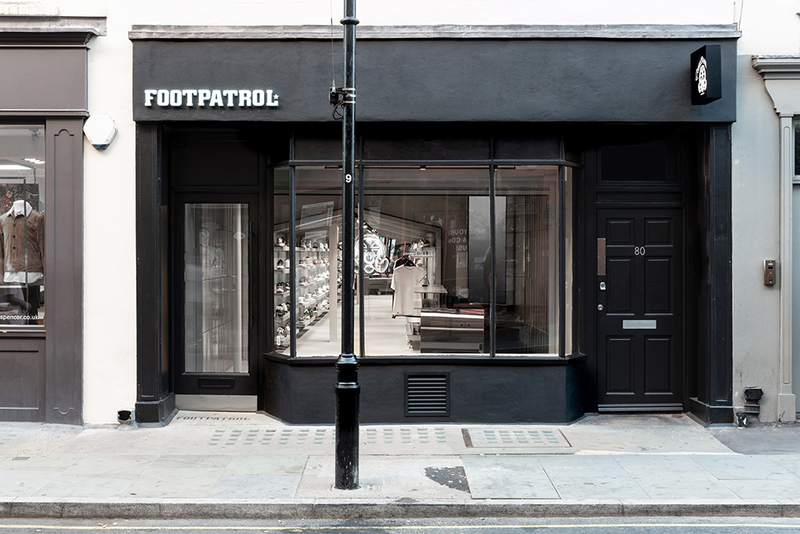 Footpatrol has always been about iconic store executions – simple, resourceful and purposeful. 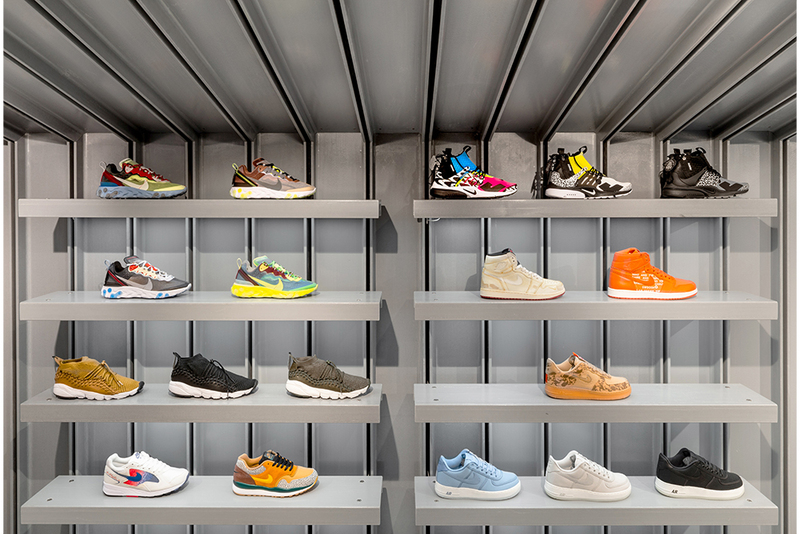 When Footpatrol originally opened on St Annes Court back in 2002, the wire mesh cages of this original store helped to pave the way for utilitarian design language now synonymous in streetwear and sneaker culture. When it came time to open our doors on Berwick St, Soho in 2010 we wanted to continue to push these boundaries and explored the ‘space within a space’ design ethos. 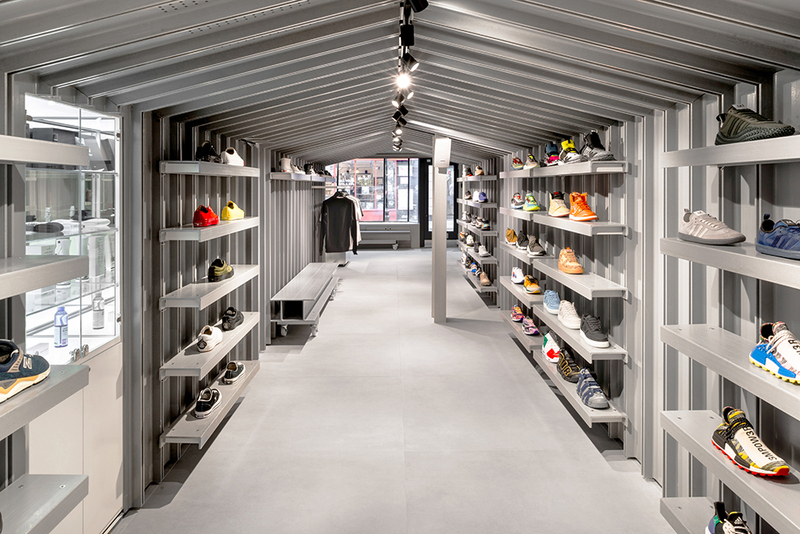 The wooden structure soon became iconic, and a hub for not only London’s sneaker community but for those visiting the city from all over the world. As the footwear we stock and the culture we love is constantly evolving, we felt it was now time to revisit our look and modernise this space we call home. The store has undertaken a complete overhaul, with an improved layout and new look throughout. The wooden motif is gone and has been replaced with a futuristic metal and stone finish that opens the space up, and immediately invites you in and creates a better and more attractive place for both customers and brands. 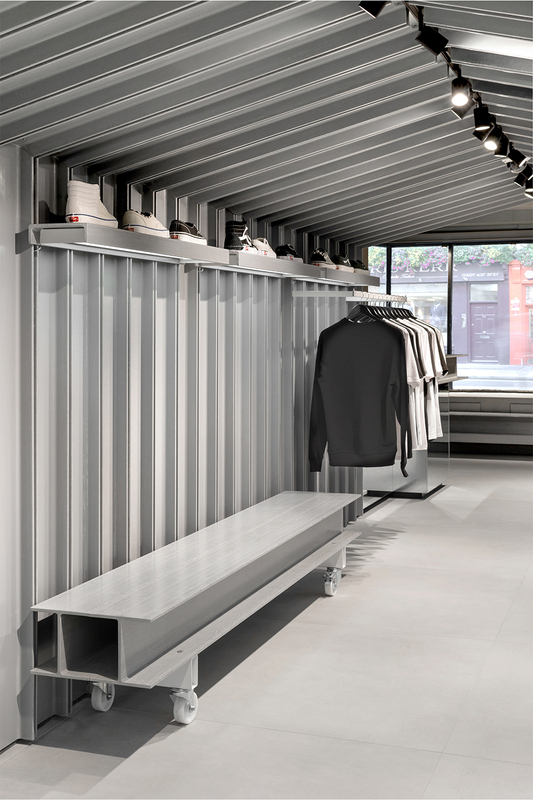 The refit designed by London based architectural design studio; Counterfeit Studio mirrors the aesthetic of our newly opened Paris store, while still retaining the London identity that has informed the stores aesthetic since the beginning. In keeping with the same resourceful approach to utilitarian materials that underpinned the previous store iterations, fibreglass sections have been re-appropriated as oversized benches, display shelving and cladding throughout the store. The cladding cleverly conceals a flexible shelving system that allows our staff to continually reconfigure the store when needed. The iconic Footpatrol Gasmask has long been the instantly recognisable logo of the brand, so it was only fitting that this was also enhanced with a new look. Taking cues from our recently opened Paris store, London now also features an infinity gasmask neon. Designed by artist Marcus Bracey and his team at God’s Own Junkyard, our new neon Gasmask also features a refined colour hue and steel housing to compliment the material and design direction, retaining its place as the focal point of the new Footpatrol London store. We will continue to stock the latest and most exclusive trainers from top-tier brands like Nike, NikeLAB, Jordan, adidas Originals, adidas Consortium, Converse Incubate, Vans Vault, ASICS Tiger and many more. 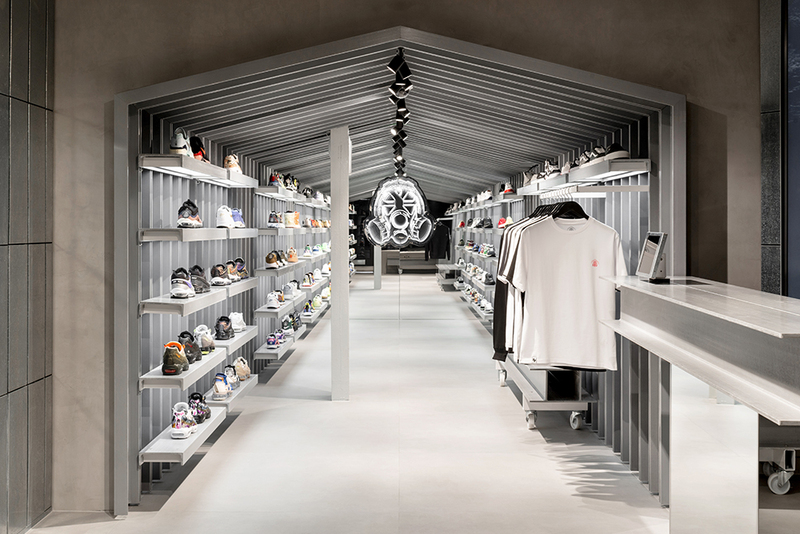 As well as accessories from brands such as Medicom, Jason Markk, and so forth.